From making a diagnosis to stem cell therapy, Move Well MD creates an innovative and targeted care plan that provides patients with relief when knee pain flares up. 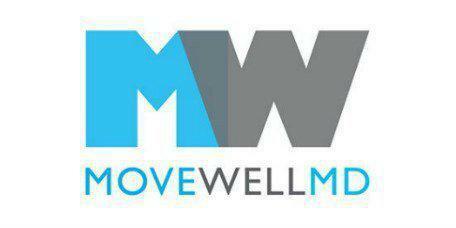 The professional staff at Move Well MD in lower Manhattan, New York and New York's financial district specialize in helping patients find solutions to chronic pain in major joints like the knee, so they can improve their lives and avoid invasive surgical options. The knee is a complex joint, so a lot of things can go wrong. In fact, knee pain in one of the most common patient complaints in the U.S. Pain is a symptom of something bigger going on inside the joint that might include basic wear and tear, undiagnosed injury or even a disease like gout. The good news in most forms of knee pain responds to some basic medical and self-care approaches. A specialist like you'll see at Move Well MD is able to put together a plan that can improve joint flexibility and reduce inflammation. What are some symptoms of a knee joint problem? Any one of these problems, or a combination of them, can indicate potential knee issues that need medical treatment. When should someone seek help for knee pain? Any pain is worth checking out. Make an appointment at Move Well MD if you notice marked knee swelling, you can't bear weight on the leg or if the joint feels unstable. What are some common conditions that cause knee pain? During your appointment, Dr. Gruen will evaluate your knee health to determine the cause. Are there risk factors for knee pain? What treatments provide knee pain relief? It will depend on a number of factors including the exact cause of the pain. Most knee problems respond well to physical therapy and innovative treatments to promote healing like stem cell therapy, especially when combined with lifestyle changes and home care.